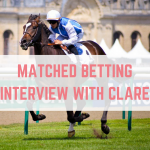 I am starting a new series where I interview people who are matched betting – whether they have been matched betting for a few months or a few years, and whether they do this full time or just to top up their income. In the first of this series I'm talking to Vicky, who blogs at IBeatDebt. 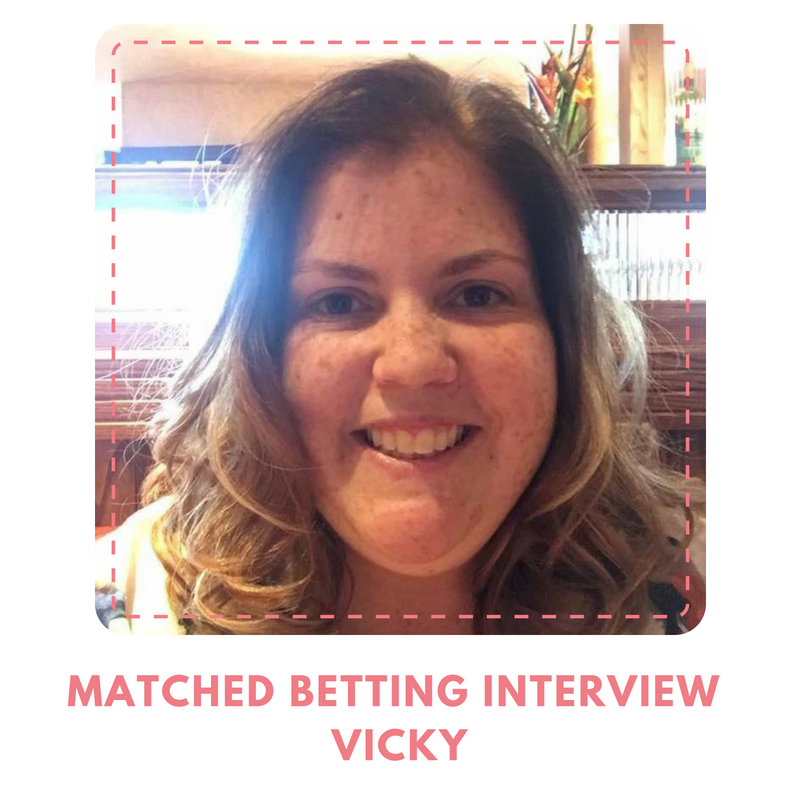 Vicky has taken a break from matched betting to focus on a house move, but know that she can still delve into matched betting when there are big events on. 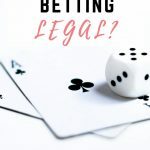 If you aren't sure what it is, matched betting is a legal and tax free way to utlise offers that bookmakers give to new and existing customers. 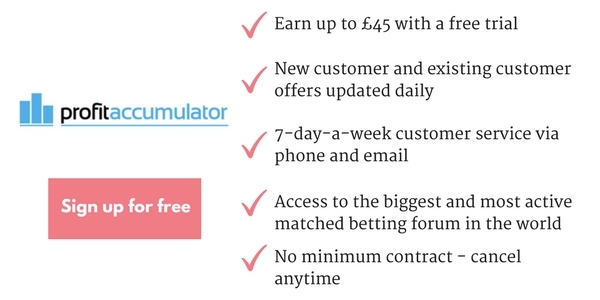 These offers can be turned into a guaranteed profit thanks to matched betting. It has been around for years now, and even The Guardian have written about it. 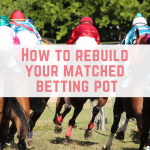 When did you first hear about matched betting and what attracted you to it? 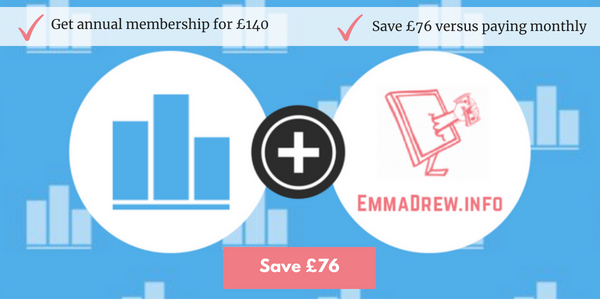 I first heard of matched betting via Emma's account on twitter. I'd come across her when she was blogging under her old website and she seemed to be someone who was really money savvy, but not preachy or salesy. She genuinely came across as someone who wants to Joe Public with their money. 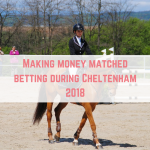 When I first heard the name “Matched betting” I thought it was a con. I wrongly assumed that it was something like using tipsters. I didn’t realise to start with that if you follow the instructions your money is GUARANTEED. I saw a few more posts about it and decided that as everything else on Emma’s site was legitimate and had helped me make money in other ways, I would investigate it and give it a go. When did you start matched betting and how did you find it? 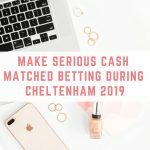 I started matched betting about two years ago. Money was tight and after researching it and finding out that it’s not gambling I knew I wanted to give it a go. I still can’t quite get my head around how it works but I know that it does work. Just follow the instructions and use the calculators available and you are told what to bet. I was working full time at the time and so I didn’t spend as much time on it as I would have liked, but I still smashed £1000 in my first month! It was insane – free (and as long as you follow the instructions) easy money! 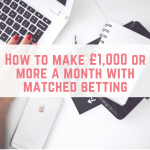 How much have you made from matched betting? I didn’t do much matched better for the whole of last year as I was in the process of moving house, relocating, changing jobs etc and I just needed my focus and attention elsewhere. 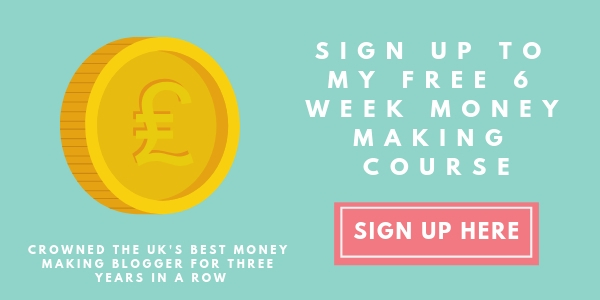 Part of the reasons for my move was to put myself in a better financial position so I don’t rely on the income from matched betting the way I used to when I started, but I know it’s there if I need some extra money quickly. I’m also now studying through work so I manage my time a little different. 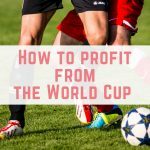 I tend to focus my matched betting attention on the big events when the bookies do loads of extra offers. For example I will do some over the World Cup and Wimbledon. I know that with not much effort I can still make a few hundred pounds a month on average though. What advice would you give to someone who is still on the fence about matched betting? I was wary about telling people about matched betting as I couldn’t entirely explain it myself. Not long after I started, my sister mentioned to me that she was really struggling financially. I felt awful that I wasn’t in a position to help her out, but I bit the bullet and told her about matched betting. She also thought it sounded like a con, but I showed her my spreadsheet and she looked into it. She trusted that I wouldn’t recommend something to her that I didn’t believe in. She started and as she was on maternity leave at the time, had more time to spend than I did. 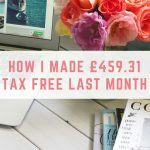 She made over £1,500 in her first month. 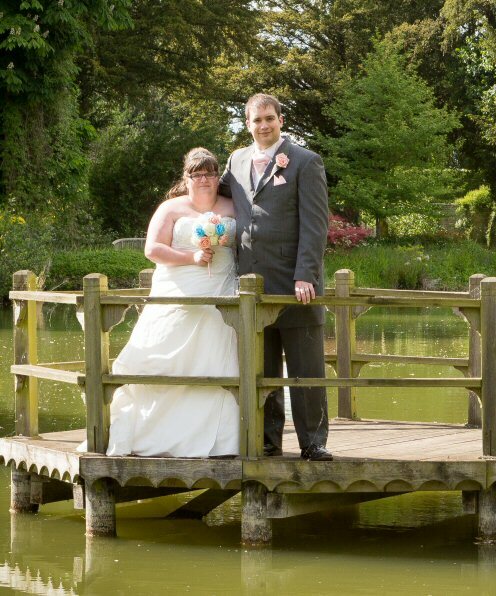 She told me later that she wasn’t sure how she was going to afford to pay her bills if I hadn’t told her about matched betting. If you are on the fence, join up and try out the offers you can access for free and give it a go. I had never been on a bookies site and had no idea what most of the terminology meant before but now I know that it is a brilliant tax-free money making opportunity. What are your matched betting goals for the rest of the year and beyond? As I mentioned earlier, I don’t matched bet as regularly as I used to, due to my studying and focusing my energies on other things, but I’d like to make enough to have an extra holiday this year. I know that is totally doable if I put my head in gear. In the last 6 months I’ve relocated over 100 miles, started a new job and done up a house. I think I’m finally settling back into a bit more of a routine though, and I am planning on building matched betting back into my time. It’s tax-free free money which you can earn from home in front of a computer! It’s kind of perfect for people like me! 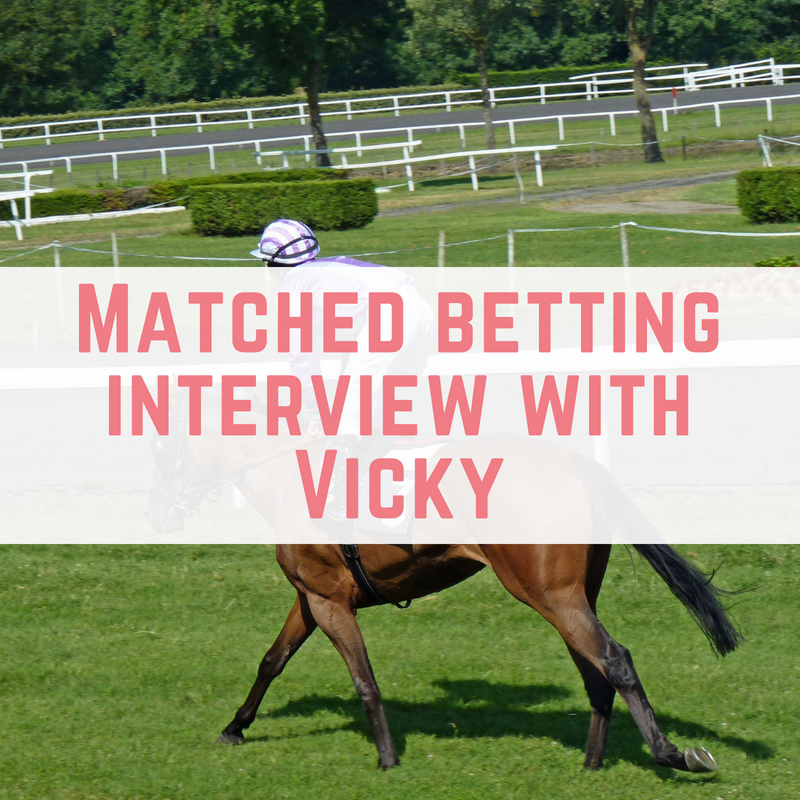 Thank you so much to Vicky for sharing her matched betting journey with us. Vicky is a member of my matched betting Facebook group where we all support each other group our journey. Come and join in!